We’ve all heard the saying “work smarter, not harder.” It may be an overused line in the business world, but it does apply to many farming operations where it would be difficult to work much harder. After all, there are a limited number of hands available and only so many hours in the day. But with precision technology at your fingertips, farming smarter is many times just a touch screen away. The SoilWarrior utilizes variable rate technology (VRT) to precisely place your fertilizer within the growth zone and gently mixes the nutrients into the soil. This allows you to control the placement of your fertilizer according to the needs of each field instead of spreading it. And it puts the nutrients beneath the surface so they are less likely to wash away with the rain. Our specially designed zone-tillage row unit tills a zone 8” to 12” wide and 2” to 12” deep, while applying and blending nutrients in one pass. This creates the perfect environment for quick seed germination and strong early plant growth because the soil is aerated, warm and dry. By combining fertilizer placement with one-pass fall or spring tillage, SoilWarrior can deliver input cost savings. It eliminates the need for extra implements, plus it saves labor and fuel. Because tillage and fertilizer application can be accomplished in one pass, you’ll spend less time in the field. The SoilWarrior is capable of zoning more than 500 acres per day, proving it can handle even the largest operations. Because only a narrow zone of soil is tilled, leaving crop residue in place on much of the soil, erosion is limited. University of Minnesota soil specialist Jodi DeJong-Hughes says tillage erosion is a larger factor in moving your soil than water or wind. She also explains strip tillage always holds its own because it requires fewer passes, more residue is left on the field and nutrients are kept in place. The SoilWarrior can be configured for deep or shallow tillage and for 20”, 22” or 30” row spacing. 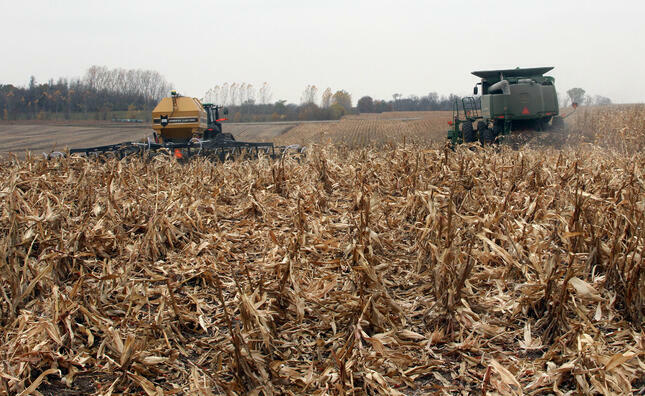 When combined with the right GPS guidance system, farmers like Ben Pederson say zone tillage is just as easy as conventional farming. He is able to maintain good yields while realizing increased efficiency and savings in fuel, labor and fertilizer. We know you already work hard and smart. Incorporating a SoilWarrior into your operation, could move you to the head of the class. Ready to get started? Schedule an on-farm demo to see how SoilWarrior row units work in your soil.